Acidotic Racing came out with a New England Snowshoe ranking. It was a very interesting list, using results from the Granite state series and the WMAC series and a secret formula to come up with a ranking. The top 10 men, based on best three races are listed below. Tim Van Orden is being featured on the Food Network on Saturday January 24 at 6:30 PM. The show is called "My life in food" and will be about Tim's Raw Food diet and his racing in New England. There should be a number of CMS singlets in the footage as they did a lot of filming at the Mt Washington and Mt Ascutney races this summer. I first started running in 1999 to get in shape for rock and ice climbing. I would train for three years before entering my first race. I started running competitively in 2003 and found racing 5k to half marathon distances on both road and trail to my liking. I really enjoyed USATF-NE Mountain Series and found it to be very challenging fun with a view. The series was a great cross over from years of alpine climbing and quickly lugging a pack up and down mountains. I joined the CMS Men's Open Racing Team in late 2007 and continue to compete in road, trail, Mountain, and snowshoe races. Praising Sin and MORT members too! So, we have come to the end of another year of running and racing, which means it is time for my annual "Best Of" awards. First, a few thank yous. Thank you to all the runners, race directors, sponsors, town officials, timing companies, spectators, etc., etc., etc.. It was another great year for the local running and triathlon community and one we can all be very proud of. On a personal note, thank you to everyone for your kind words. I have been writing this column since 1995 and announcing at racing since 1996, but for some reason this was a year that you seemed to take notice. This year, I got more compliments than ever and I am extremely grateful. Again, thank you. Now, on with the show. The envelopes, please. MALE RUNNER OF THE YEAR — Jim Johnson, Salem. Johnson not only won the Seacoast Series, he finished first at other races, like the Delta Dental 5K in April and Christine's Crusade in December. The races he didn't win he usually finished in the top five. FEMALE RUNNER OF THE YEAR — Heidi Westerling, Acworth. It started with her performance at the Olympic Marathon Trials in April when Westerling brought tremendous pride to N.H. running. In addition Westerling performed well at big N.H. races, like Market Square Day (first) and Cigna (first N.H. female). MALE MASTER RUNNER OF THE YEAR (40 AND OVER) — Dan Verrington of Bradford, Mass. Verrington may reside in Massachusetts but he made New Hampshire his home for a lot of races in 2008. 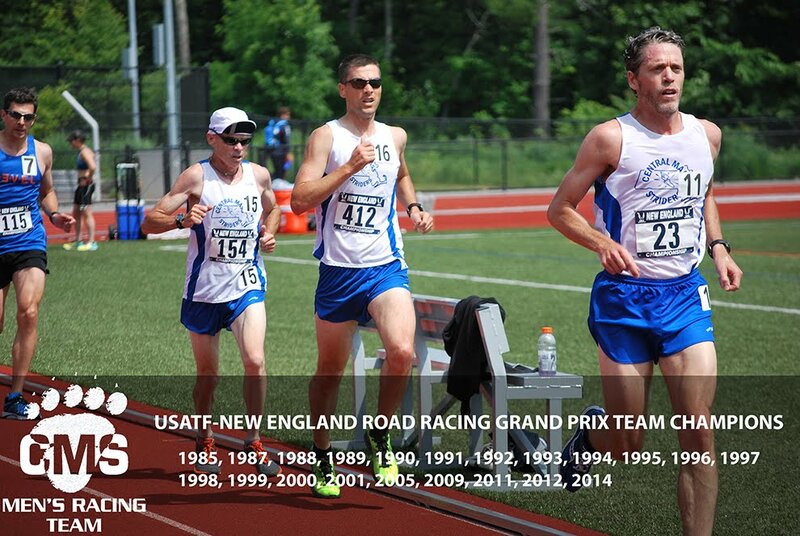 He has been a consistent participant and award-winner at Granite State races for a number of years and 2008 was no exception. Take a look at this year's results and you will see Verrington's name listed as one of our top masters. FEMALE MASTER RUNNER OF THE YEAR — Joanne Dow, Manchester. No way Dow was going to be left out of this year's awards. She may be a race walker and her greatest accomplishment may have been thousands of miles away, but Dow made the Olympics at the age of 44. Oh yeah, she also ran a few N.H. races and was top female. MALE SENIOR RUNNER OF THE YEAR — John Tuttle, Alton. Tuttle will be the first to admit he might be slowing down a bit but it didn't stop him from having another strong year, winning and placing at the top of many races. FEMALE SENIOR RUNNER OF YEAR — Sin Kounlasa, Dover. No one, any age, ran more races and won more awards at more distances that Sin. Slam-dunk choice. PERFORMANCE OF THE YEAR — My awards, my rules, this year's choice has nothing to do with local races. 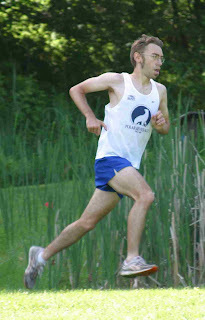 In July Dow finished first at the 20K race-walking competition at the U.S. Track and Field Olympic Trials. It was the single greatest moment by a member of the N.H. running community in years and brought tears to the eyes of many. (Honorable mention goes to Alene Reta of New York City. He won the Cigna 5K in 14 minutes, two seconds, tying for second-fastest 5K in N.H. history). Richard has been a member of the CMS Men's Open Racing Team since 1995 and lived in Massachusetts and New Hampshire before moving to Portland, Oregon in 2006. 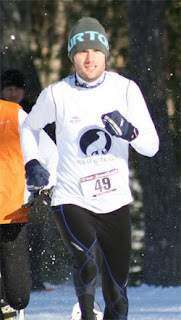 Prior to being suckered into mountain running by Dave Dunham, Richard was a competitve Cross Country Skier and competed in the 1992, 1994 and 1998 US Olympic Trials. Richard has fond memories of competing regularly in the USATF-NE Mountain Running Series, the New England Road Racing Grand Prix, WMAC snowshoe races and just about any other road trip with CMS MORT members that began before dawn and started with a hot cup of Dunkin Donuts coffee. When not working as the Director of Operations for Aisle7, Richard has been trying to re-create the New England racing scene here in Oregon. He founded the USATF Oregon Mountain Running Series, finished 4th in the Mercury Men's (no, I didn't make that up...and yes, it's retarded) division of the USATF Oregon Road Running Grand Prix, won the only 2 snowshoe races held in all of the Pacific Northwest (in 2007 and 2008) and still can't find a running club as cool as the Central Mass Striders. Currently, Richard serves as the Mountain, Ultra & Trail (MUT) Running Coordinator for USATF Oregon. Richard is also the Team Leader for the Teva US Mountain Running Team and the Men's Mountain Running Rep to the National USATF MUT Council. Dan has a domestic and international running resume that would hardly fit within the confines of this blog. Always humble, Dan has been a dominant force as a master over the past six years and gives the "youtes" a run for their money if they dare line up next him at the starting line. Dan helps coach the cross country teams at Essex Agricultural High School in Middleton. The elusive Eric Morse is a 11 time USATF NE Champion, and Vermont runner of the year 9 times. 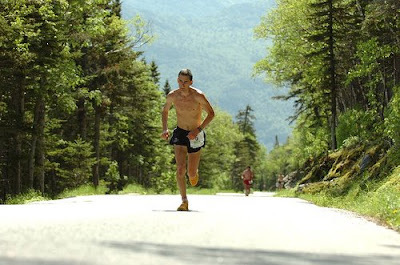 Eric represented the United States in the world mountain running championships 5 times finishing: 47th (1996) 3rd U.S., 37th (1997) 2nd U.S., 37th (2000) 3rd U.S., 74th (2002) 3rd U.S., and 60th (2003) 3rd U.S.
Morse still holds the open course records at Wachusett, Pack, and Ascutney. Six-time USATF NE Mountain circuit champion: 1997, 1999, 2000, 2001, 2002, 2003. 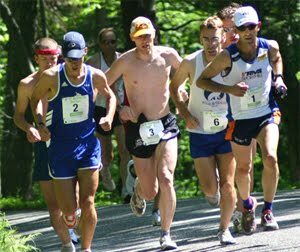 *2008 was the U.S. Mountain Running Championships. *2002 was a shortened race due to weather conditions on the summit. 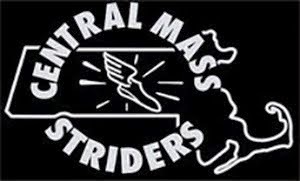 Kevin has been running for CMS since late 2003 after a few years running cross country and track at the University of New Hampshire. 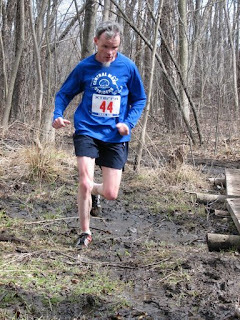 He has found his niche running long road races (10 miles and up) and anything that has to do with trails or mountains. 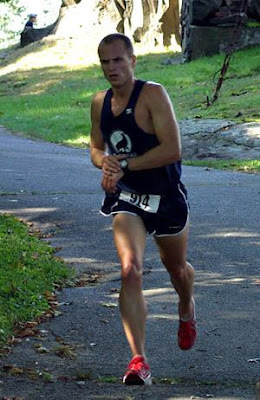 Kevin made the US Mountain Running Team in 2005 and 2006 and traveled to New Zealand and Turkey to represent the US at the World Mountain Running Trophy.